Land situate lying and being in Skir Dhu in the County of Victoria, Cape Breton in the Province of Nova Scotia. Lot 15 on plan. 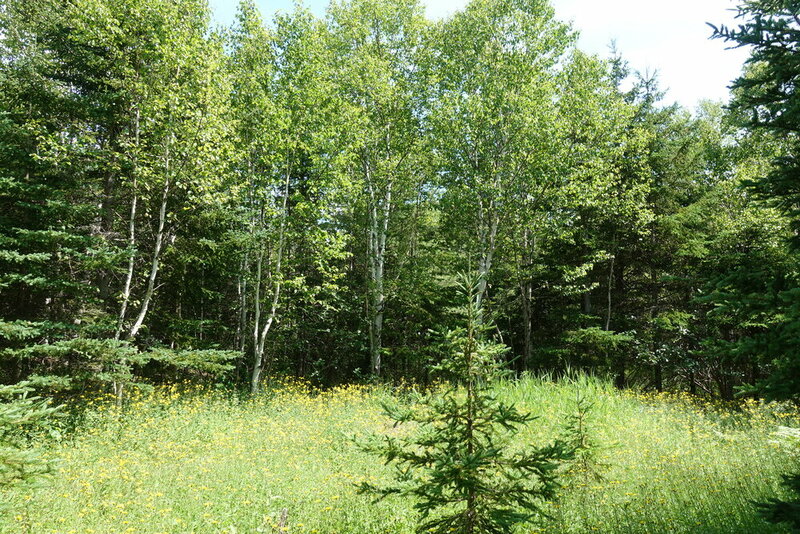 Nicely level treed lot on the Cabot Trail with great access to the Atlantic Ocean and coastline. 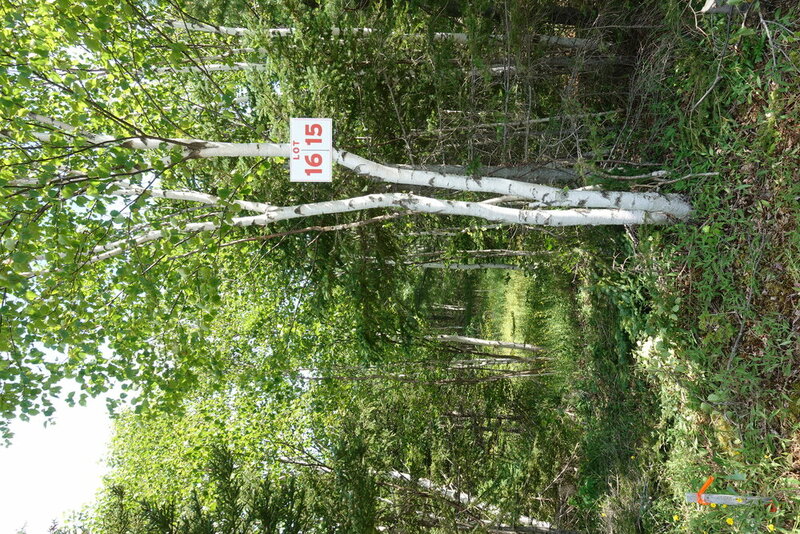 Lot 15 along the Cabot Trail. 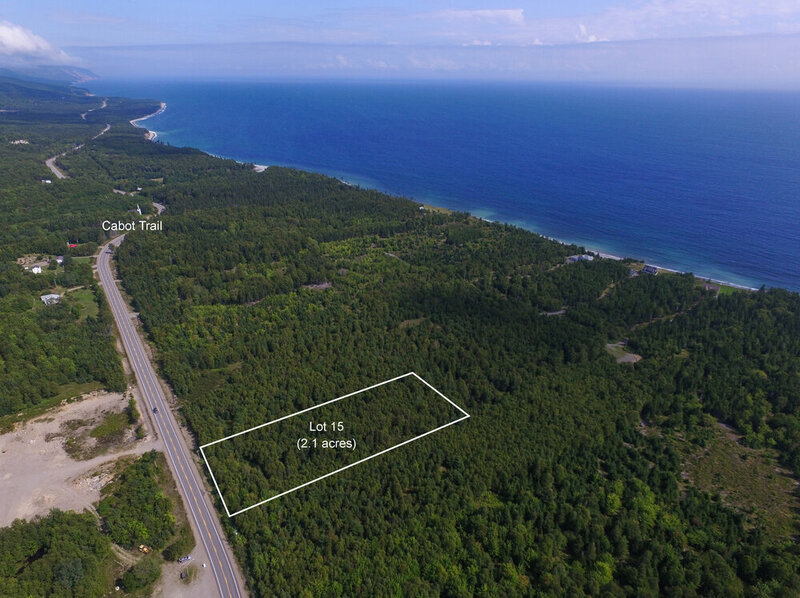 Lot 15 has 208 feet (63 meters) of road front along the World Famous and year-round accessible roadway. Looking North along the Cabot Trail. Lot 15 is on the right. Picture taken on Lot 15. Here is an air photo showing Lot 15, along the Cabot Trail. 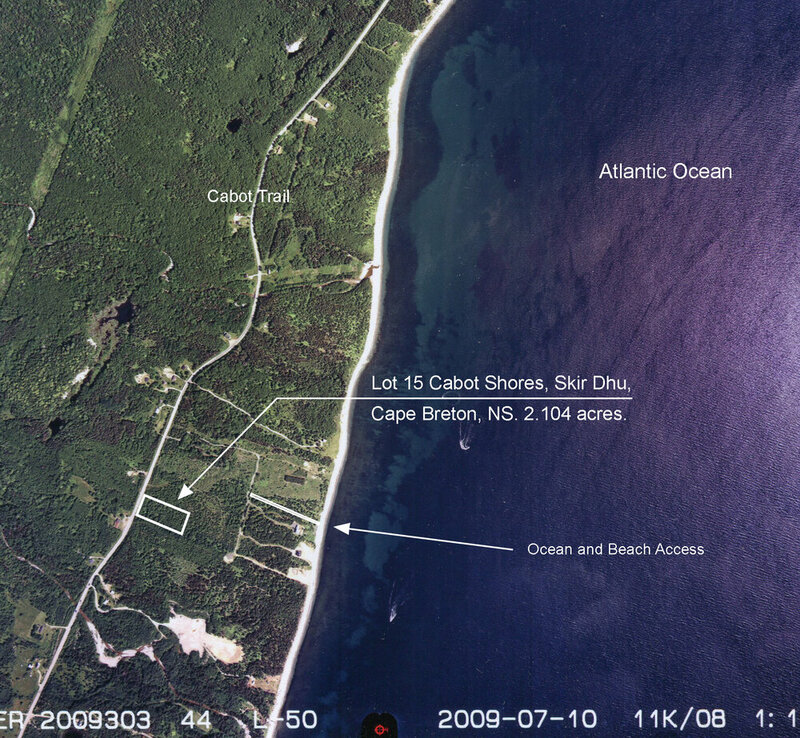 Air photo looking north along the coast of Cape Breton, and indicating the location of Lot 15. Nearby Black Brook Beach is a favorite spot to enjoy bodysurfing the waves as they wash up to shore. Whale watching in Cape Breton, Nova Scotia. Sailing in Cape Breton, Nova Scotia. Here is a survey highlighting Lot 15. 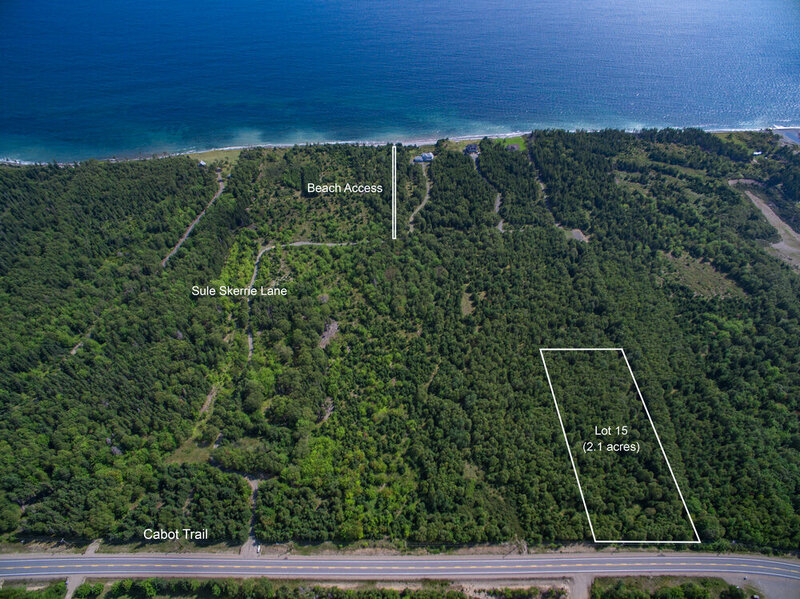 2.104 acres in size with excellent ocean and beach access along the famed Cabot Trail. Air photo outlining the lot's location. The photo also indicates the access walkway to the ocean and beach. 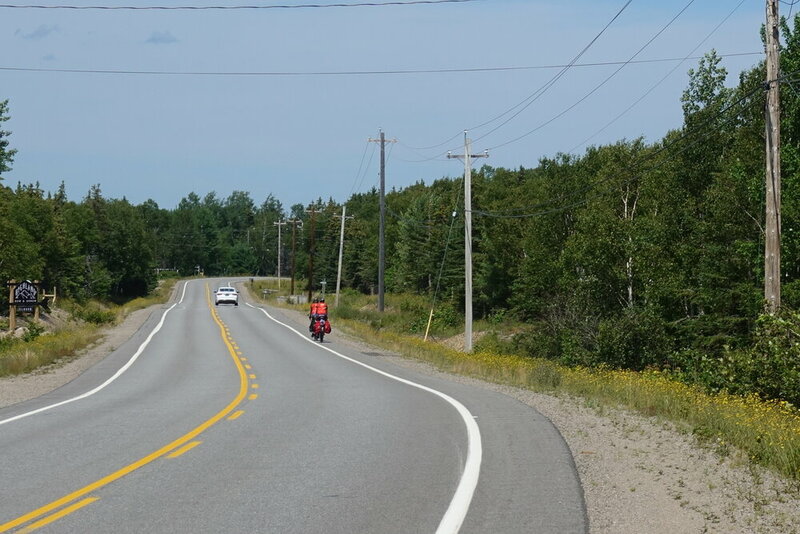 • 208.26 feet (63.48 meters) road frontage on the Cabot Trail. • Build or leave unimproved. • Steps away from beaches and the Atlantic Ocean. • Deeded right-of-way to the shore and ocean. 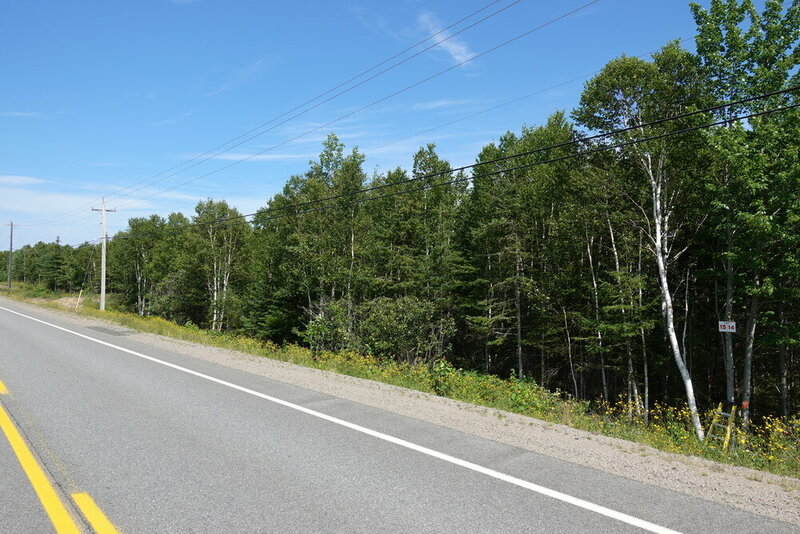 With 208 feet of road frontage along the paved and maintained Cabot Trail, this fully surveyed level residential and cottage lot has a depth of 440.17 feet (134.16 meters). 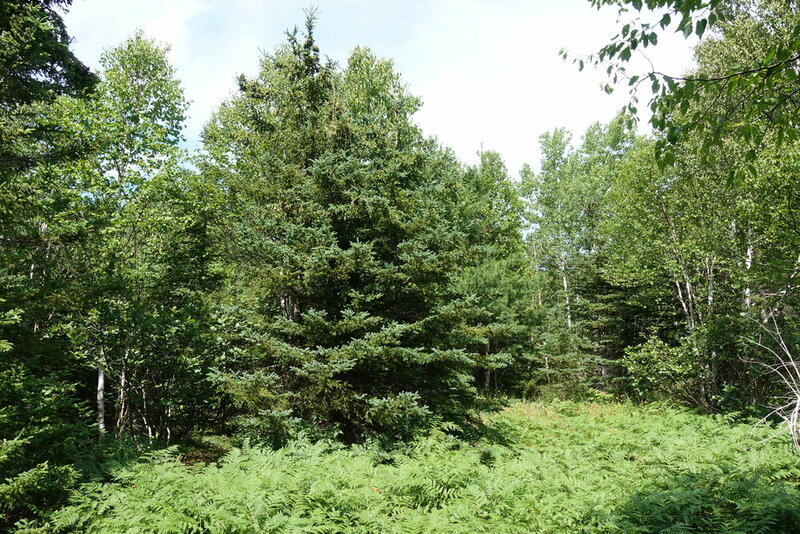 The lot is easy to walk through and is nicely treed with deciduous and evergreen trees including Pine, Spruce, Fir, Birch and Maple. From your property common access to the Atlantic Ocean is just a few feet away - close enough for the owner of the property to enjoy all sorts of activity's such as sailing, boating, snorkeling and much more. The Atlantic Ocean has to offer such as, swimming, fishing (cod, sea trout, silver perch, pollock, mackerel, atlantic salmon, lobster, oysters, mussels.) snorkeling, whale watching, water-skiing and much more. The area has so much beauty to offer - beautiful sunrises and sunsets, miles of coastline and open ocean to explore - this is a sailors and boaters paradise. 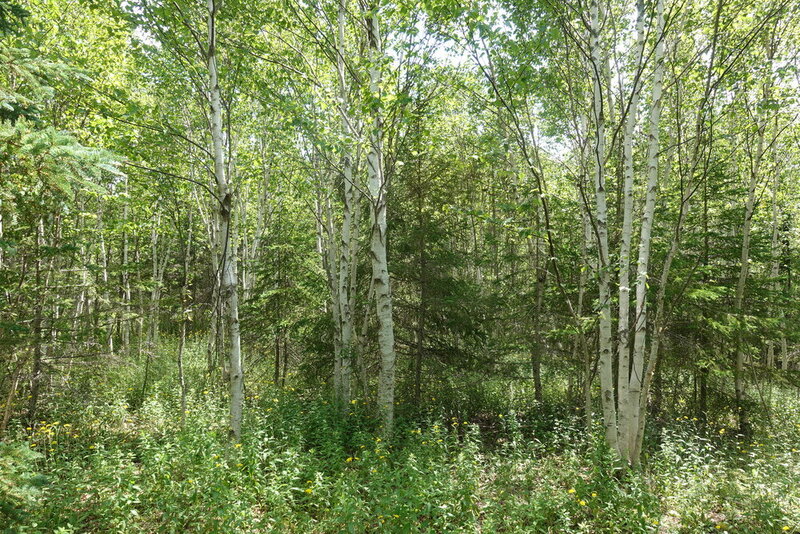 The land supports a variety of wild life, and this is prime habitat for the moose and deer population, which are commonly seen in the surrounding countryside. 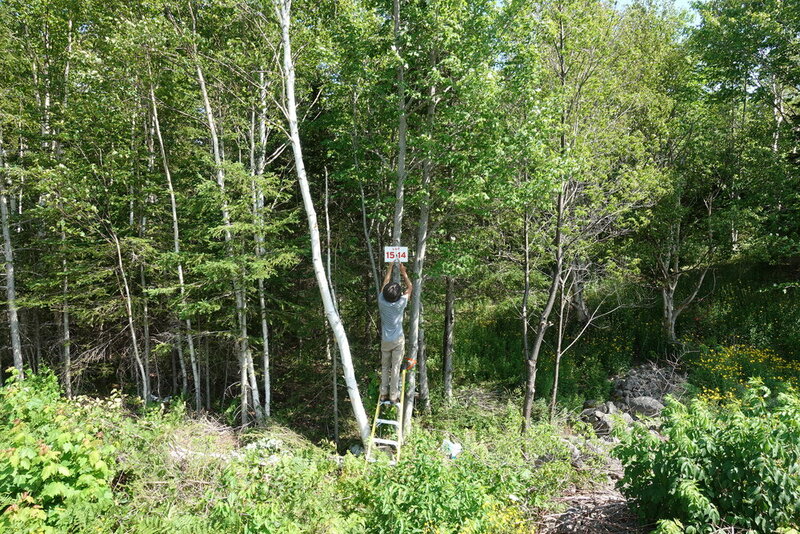 Your property and surrounding crown land provides excellent hunting grounds for the outdoor person. If you are a seafood lover you’re never far from a steaming plate of local lobster fresh from the ocean around you. 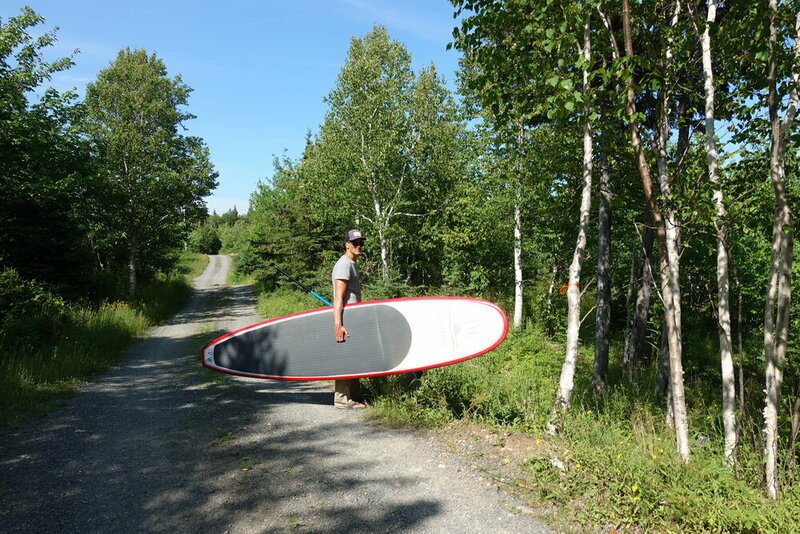 17 miles (28 kilometers) away is the charming village of Ingonish where you will find general supplies and shopping, gas, and post office, restaurants, banks, cafes and crafts. Just a few minutes farther North, in Neils Harbour is the regional health care services. 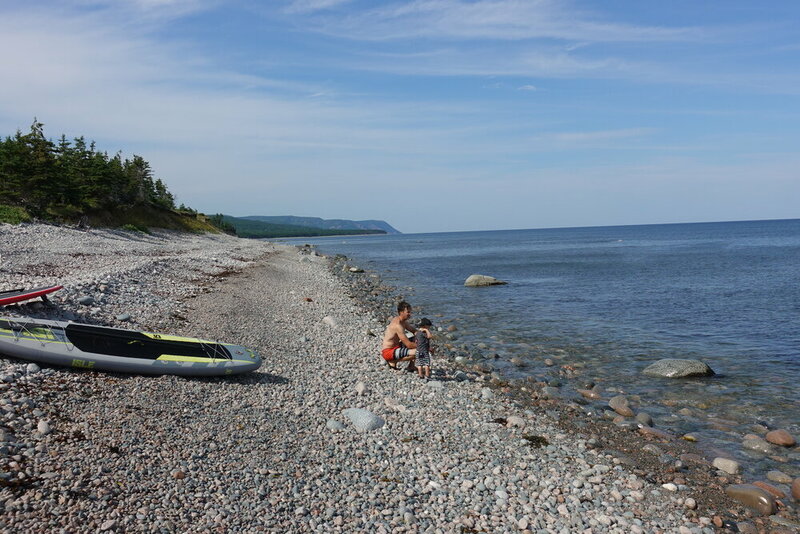 The land is just a short drive from the Cape Breton Highlands National Park, one of Canada’s most enchanting places, where the mountains meet the sea, where lush, forested river canyons carve into the ancient plateau, edged by rust-coloured cliffs. This is a perfect property to build your summer retreat with plenty of privacy on your own acreage. 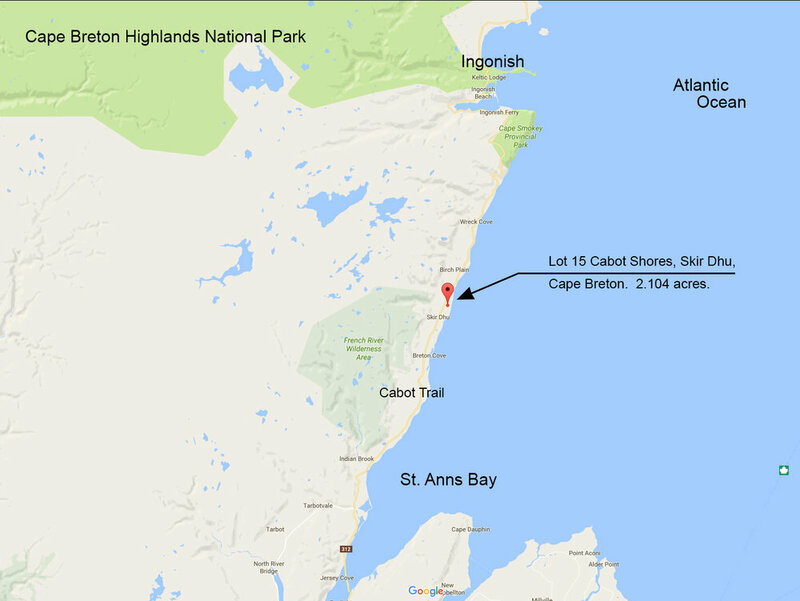 Where else can you own your own beautiful property along the Cabot Trail in Cape Breton Nova Scotia with such favorable terms. 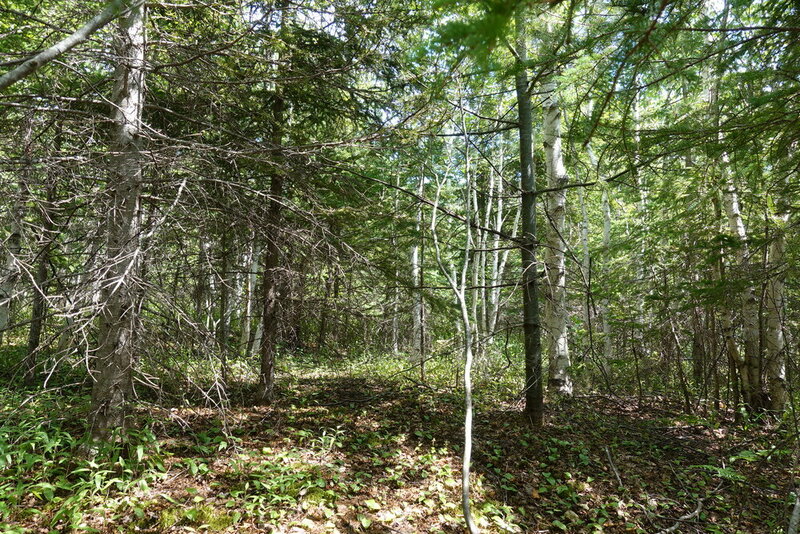 A great investment in land that you will enjoy for many years!